As the director of the AAS Graphic Design program, students often ask me about classes they are considering for the next semester. Last week, I sat with Iku Okada, a first semester student to discuss her upcoming spring semester options. 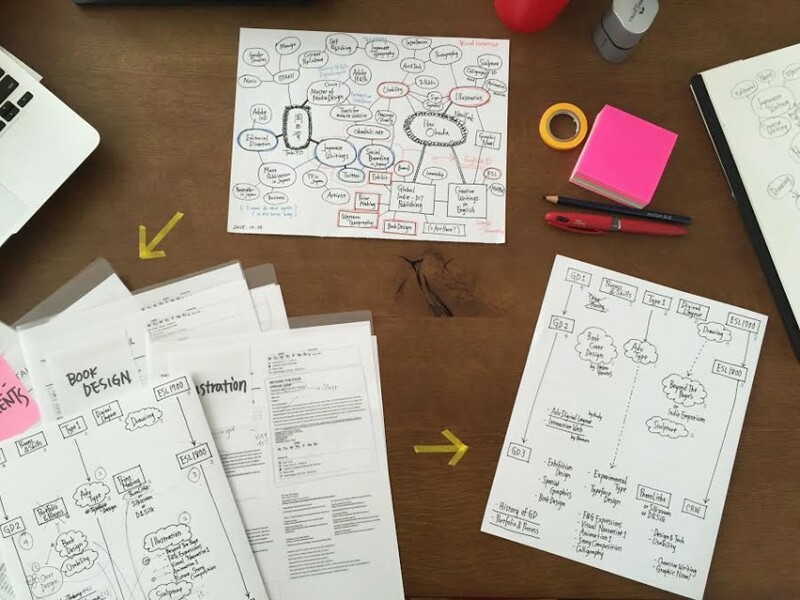 Iku used mind mapping, a method of visually organizing information around a central theme or topic. In this case, her classes for spring semester 2016. She explains her process below. 1) I drew my mind map. The left side of paper is my Tokyo section, the right side is my New York section. I’m shifting my center of gravity from left to right. Blue is what I’ve done. Red is what I need now. 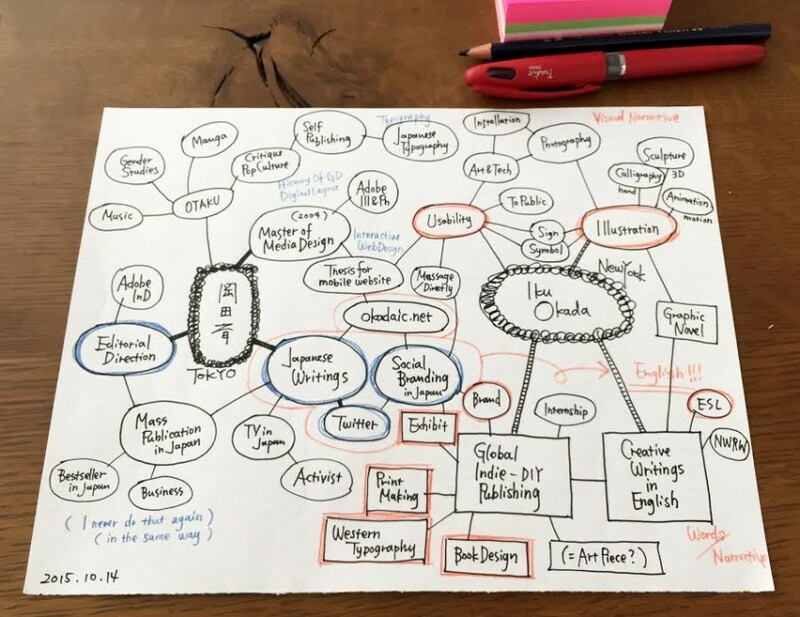 2) I searched the University Course Catalog, and printed information for classes I’m interested in and I classified them in red on my mindmap; illustration, printmaking, book design, creative writing and others. 3) I used hierarchy and priority in each categorized folders. Some classes are necessary for this coming semester. Others are possible to take in the 3rd semester. I also looked at difficulty, instructors, and meeting times. 4) I met with and talked to the program director. My next step is to talk with my academic advisor about my required credits.